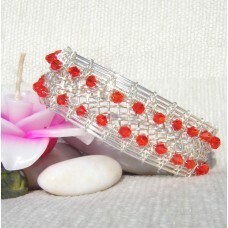 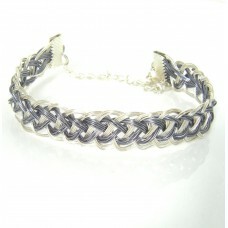 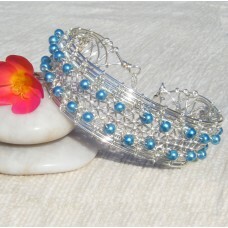 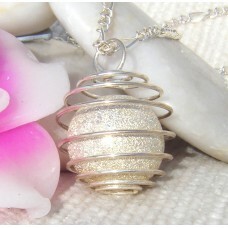 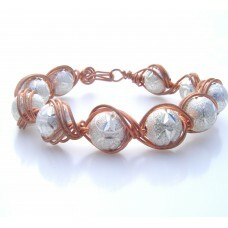 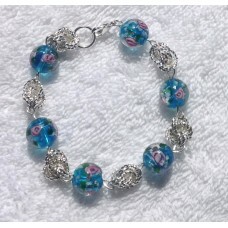 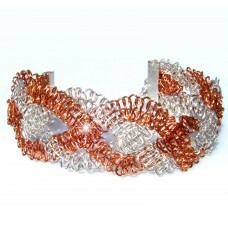 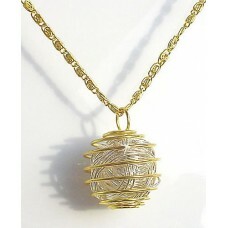 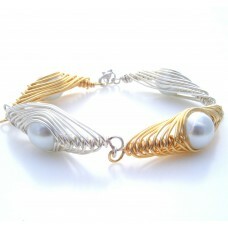 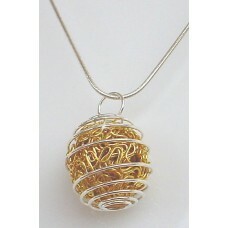 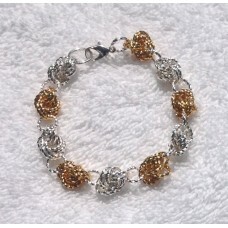 Silver plated handmade jewellery with swarovski and glass beads buy online. 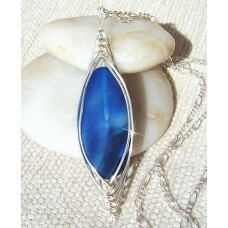 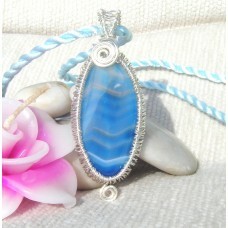 Blue veined agate semi-precious stone with non tarnish wire wrap in silver plate. 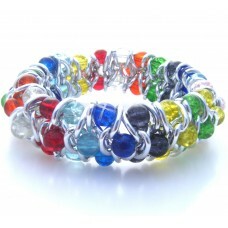 Complete wit..
Silver Plated and Non-tarnish Copper Wire lengths are tied into small macrame knots on a macrame boa..
Silver plated chain surrounding coloured glass crackle beads. 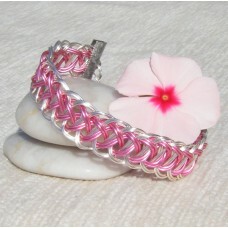 Beads are arranged in a differen..
Silver Plated with pretty pink coated wire in the centre woven to form a Roman Pattern Guilloche Bra.. 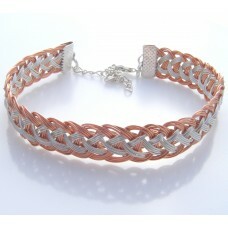 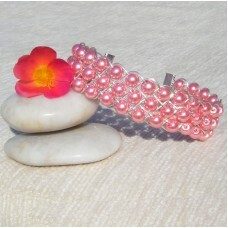 This delightful pearly pink bracelet has 6mm beads wrapped in silver plated wire. 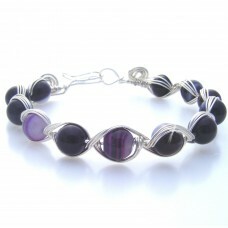 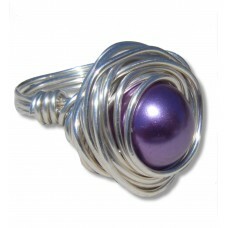 Completed wi..
Purple Veined Semi-Precious Agate Beads encompassed in silver plated wire wrap. 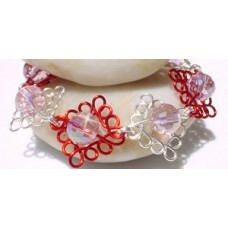 Metaphysically..
Red and silver plated wire curled around swarovski crystal pink beads.Size 19cm x 2cmDazzling ..
Made in 3 parts, the centre of this delightful bracelet is first braided on a kumihimo disc with sil..
Several strands of Gold and Silver Plated wire braided into this unique Roman Influenced Pattern.1 c..
Silver and Gold plated twisted jump rings are knotted and joined together to form this unique bracel..
Silver Plate and Grey coated wrapped wire bracelet in Roman Guilloche PatternLength: 7 1/2 inches or..
Sparkly 8mm silver coated beads with pattern and captured in copper wrapped wire. 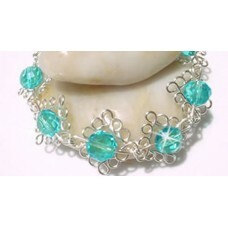 Completed wi..
Silver plated twisted jump rings are knotted and joined together with pretty blue lampwork glass bea..